The most varied collection of one-of-a-kind antique & vintage furniture, artwork, lighting, collectibles ... including Art Deco, Industrial, Victorian, Primitive & Mid Century Modern ... available at price points for every budget. 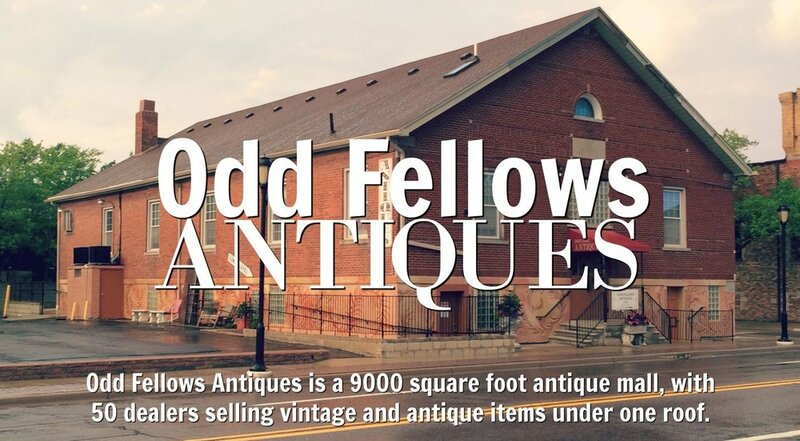 Create a home that reflects your personality, and shop Odd Fellows Antiques for unique home decor items. Twice Around Antiques has been offering a great selection of antiques, vintage, shabby chic painted furniture, china, glassware, lighting, wall art and so much more more, for over 30 years. You’ll always find something unique at Twice Around. We have the best selection of vintage sterling and costume jewelry. Tons of bling! Buying and selling 5 days a week, Tuesday through Saturday, 11:00 – 5:00.